Sweden’s third-largest city Malmö in the south of Sweden is a symbol of cross-border diversity and a creative and inquisitive mini-metropolis. Starting as an industrial city, Malmö is now a knowledge hub, known for its environmental work. 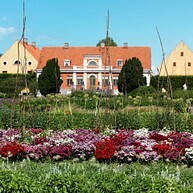 Here you find the Scandinavia´s oldest renaissance castle close to the hip new sustainable district of Västra Hamnen. 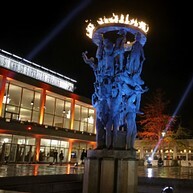 The Eurovision Song Contest 2013, the World Junior Hockey Championship 2014 and the IIHF World Championships 2015 show that Malmö is the place to be in terms of international events. Opening hours: Shops are open weekdays 10-18 and weekends, Saturday 10-16 and Sunday 12-16. Art and culture life in Malmö has gained a well-deserved reputation as of very varied and high class. Here you will find a rich variety of cultural experiences for the whole family. Malmö invests in a broad cultural range, with both large institutions and many smaller operators and activities. Malmö also offers the best of Scandinavian and international design in the shape of furniture and furnishings, jewellery and textiles. 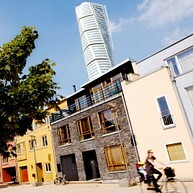 Malmö works for sustainable tourism so it is easy to choose a sustainable stay here. Many hotels are environmentally certified and restaurants and cafés have a wide selection of organic and local produce on their menus. Malmö is a cycling city with over four Swedish “mil” bike lanes and city buses that run on natural gas. The city has lots of green areas in the city centre and around town. For example, Kungsparken, Slottsparken and the large Pildammsparken. Malmö Folkets Park is Sweden’s oldest "folkpark" and has beautiful lawns to sit in, tivoli, cafés, restaurant, terrarium, adventure golf, horse riding and live entertainment in summer. Don’t forget: Malmö’s glorious two-kilometre long beach Ribersborg Beach & Kallbadhuset, or "Ribban" within walking distance from the town centre. Form/Design Center is an exhibition venue and sales outlet in Hedmanska Gården by Lilla torg, run by Svensk Form’s regional association for Skåne. The very best of Scandinavian design and local handicrafts produced on a small scale. The Western Harbour is one of the most sustainable districts in Malmö, with amazing architecture and a view over the Öresund and the Öresund Bridge. Here you also find the spectacular 190 metre high Turning Torso and Stapelbäddsparken, which attracts skateboarders from all over the world. The district offers beautiful walks, wonderful bathing facilities, unhurried meals in restaurants, coffee and picnics on the grass, or fun and games with high-energy activities. You aklso find the Dockan Marina here, with plenty of berths and facilities for guest boats, just ten minutes’ walk from Malmö Central Station. The former warehouse on Gibraltargatan has been transformed into a culinary destination for bon viveurs, hungry lunch diners and passionate cooks. Lunch, dinner or coffee. Eat in, or buy local ingredients to take home. 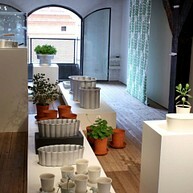 You’ll also find beautiful flower arrangements, crafts and Scandinavian design. There are many ways to discover Malmo – either through a traditional tour or on your own. 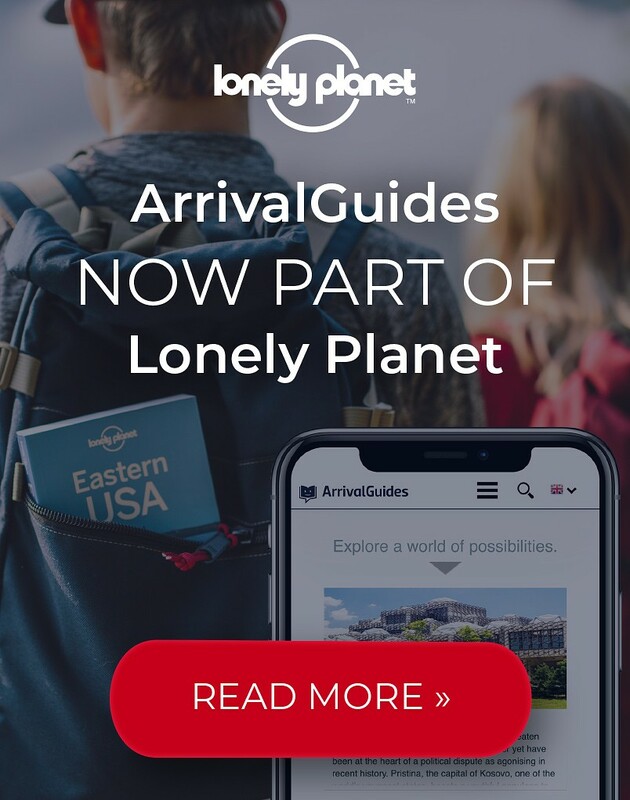 Sightseeing possibilities vary according to season, let us tell you about the spring/summer opportunities. See Malmö from the water by "Rundan", Strömma Sightsseing-boats and come along for a sightseeing on the channels of Malmö. The tour goes under bridges, through parks and with a personal guide you get a lively story about the history, buildings and various anecdotes of Malmö. A fantastic building offering tranquillity, great views and an excellent selection of books. Even if you don’t want to borrow a book, Malmö City Library is still well worth a visit. Join a guided walking tour of Malmö, and discover historic locations and popular sights. Tours start from Stortorget and are held in English. In the outskirts of Malmö lies a rural oasis that gives you a feeling of peace and harmony. Katrinetorp is a so called "landeri" from the early 19th century that from the start was used as a summer home and for bigger receptions. The city of Malmö runs the operation today and they are constantly working on recreating the former glory of this estate. Markets, music entertainment, events and exhibitions are held here annually and they are always attended by many people. Katrinetorp manor recently opened its new exhibition hall "The Stables", which also has a high-end gift store. Katrinetorp lies 10 minutes from the city centre of Malmö which makes the big city no more than a stone throw away from this idyllic scenery. Classical sightseeing by foot through Malmö’s history from medieval to modern times. The organizer offers a tour in Swedish, this tour takes about 2 hours. There is also a city walk available in Swedish and English and that one takes about 1 hour and 15 minutes. Find out on malmtown.com how you can make your visit to Malmö sustainable. Rent a bike and explore some of Malmö’s over 470 kilometres of bicycle path, stay at a sustainable hotel and buy fair trade products. Here you will find a mix of current experiments and classic art. 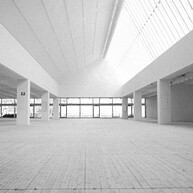 Malmö Konsthall opened in 1975 and has one of Europe’s largest exhibition halls for contemporary art. 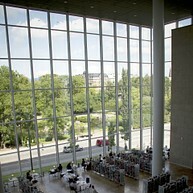 Visit on a Sunday and you can also enjoy Restaurang Smak’s fantastic Brunch. Mitt Möllan combines colourful food with alternative shops, art, creative offices, local design, vintage goods and pop up-markets. A gallery for comics. Rum för serier also has a shop selling books, figurines, posters and more. Malmö has an interesting mix when it comes to architecture. It has been much affected by Denmark and the rest of Europe. In Kungsparken you find the award-winning City Library. The building consists of an older and a newer part which is interconnected with each other. The new part, "The calendar", was designed by Danish architect Henning Larsen. 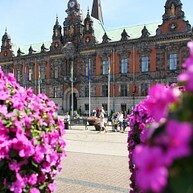 On Stortorget – a stone’s throw from Malmö Central station is the Town Hall. The building was built in 1546, but has undergone major changes over the centuries. Helgo Zettervall (1860) transformed the façade of a Dutch Renaissance style. In a different part of the big square lies Koc kska House which is one of Malmö’s best-preserved sixteenth century in red brick with a richly decorated stepped gable. Today it accommodates one of Malmö’s most well-known restaurants, Årstiderna (The Seasons), in the basement vaults. Behind the town hall you will see the tip of the St. Petrikyrkan, Malmö's oldest building from the early 14th century, built in Baltic brick gothic. Parts of the medieval paintings in the Church’s vaults were developed and restored at the beginning of 1900.